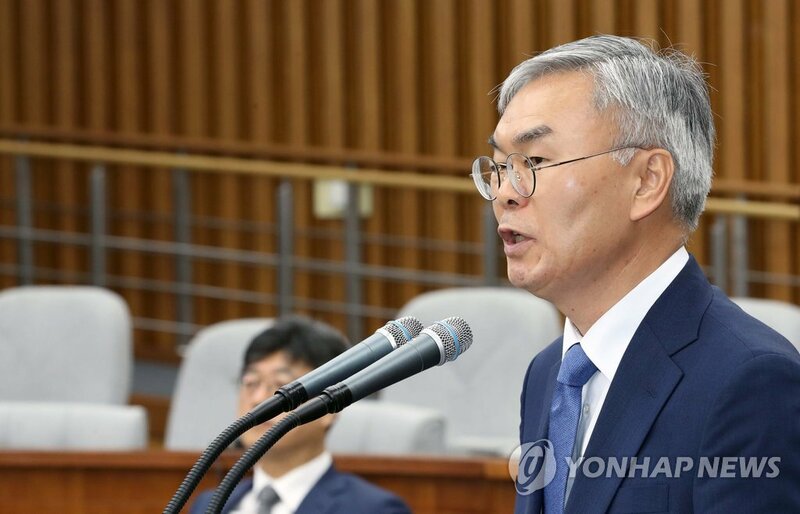 Rival parties remained divided on Tuesday over the nomination of Kim Sun-soo for the post of Supreme Court justice. Main opposition Liberty Korea Party lawmakers, who are members of the National Assembly's special committee on confirmation hearings, held a news conference and called on Kim to withdraw his nomination. They said Kim was found to have unimaginable flaws for the post that requires a high level of morality and integrity, citing that he is suspected of avoiding paying gift and income taxes and drawing up an under-the-table real estate contract. The ruling Democratic Party stressed that the National Assembly must confirm Kim’s nomination. DP floor leader Hong Young-pyo said during a party meeting that Kim is the right person to bring political neutrality and social diversity to the Supreme Court. Kim's confirmation hearing was held on Monday.